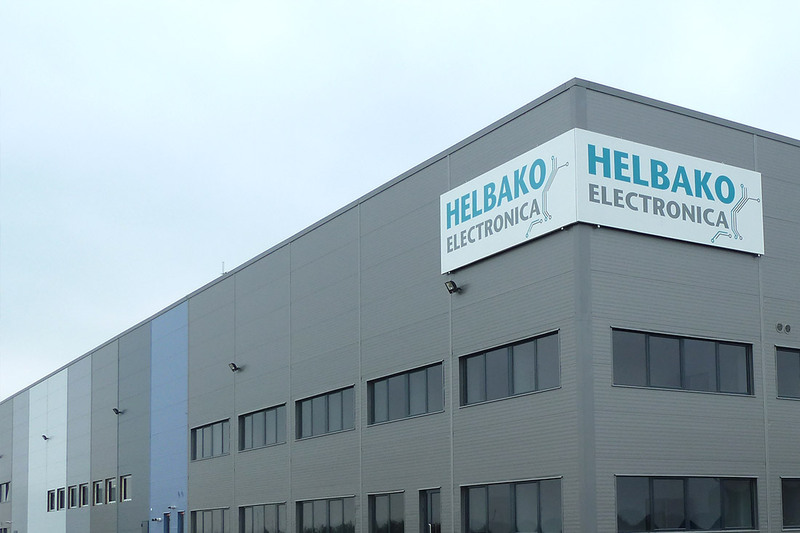 Helbako is a successful global automotive supplier, with headquarters in Germany. As electronic specialists in a family-run firm, we have the ideal format to fulfil the most demanding quality requirements and at the same time offer the flexibility you would expect of a medium-sized company. Our headquarters are located in the middle of the Rhine-Ruhr metropolitan region, one of the biggest conurbations in Europe. This is where we started small, developed into a medium-sized company and invested big - our production and administration space comprises 12,500 m2 and includes our own development centre with a staff of 60. These facilities form the nexus of our excellence in electronics. 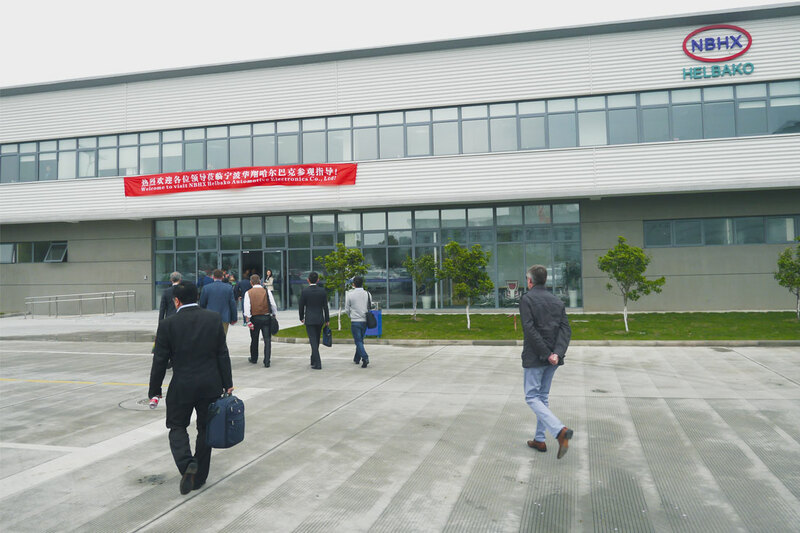 The joint venture of NBHX and HELBAKO is based in Ningbo, near Shanghai. This is where series products are created for our customers in the Asian region, such as Shanghai Volkswagen (SVW) and First Auto Work – Volkswagen (FAW-VW), as well as other local manufacturers. Over the medium term, a development centre is set to be built in addition to the modern production facilities. Our range of activities has been complementing HELBAKO ELECTRONICA SR in Timisoara, a 100-percent subsidiary of HELBAKO GmbH, since 2015. In the field of electronics manufacturing SMD and THT, final assembly and final inspection, up to 2,5 million modules are produced here each year in a production space measuring 1,350 square metres. The expansion to become a development site begins in 2016. In addition, HELBAKO ELECTRONICA supports our development centre in Heiligenhaus as a development location. It all started in a garage in 1977, under the name HELBA Elektronik Baugruppen GmbH & Co. KG., when Hans-Walter Zimmermann and Heino Burmester developed their first control unit for a central door locking system. Three years later, there were six employees and a few months after that the staff grew to 18. The company first relocated in 1980 and just two years later opened its own development centre. In the mid-1980s, the first SMD assembly machine replaced a number of home workstations; at the same time, HELBA's staff consisted of 62. 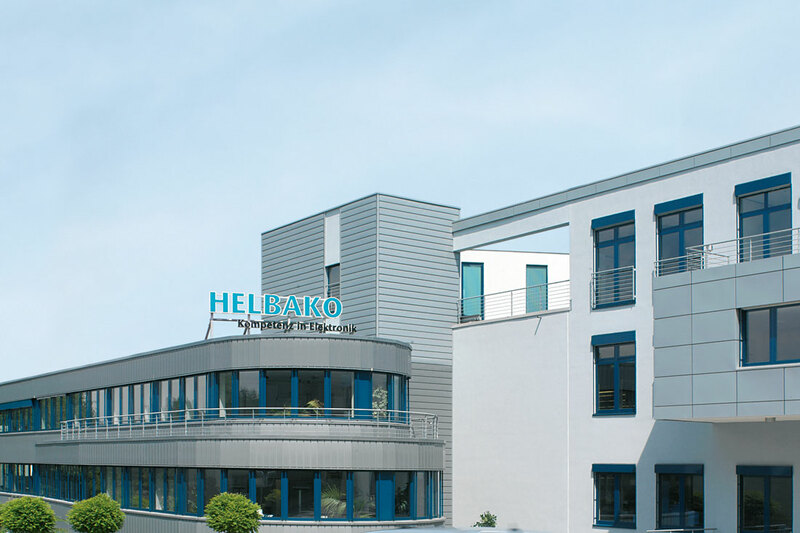 In 1990, HELBA became Helbako and following that the company became ISO 9000 certified as well as took up residence in a 6000-m² new facility on Weilenburgstraße. At the turn of the millennium the development department was situated in its own centre. Helbako employed 150 people at the time and the figure kept growing. Helbako was creating jobs - physically as well. In an ambitious building project in 2003, a four-storey extension was added in record time, while the number of staff was increasing week by week. Helbako opened its own office in Munich in 2009. With the founding of a joint venture in 2012 the company entered the Asia-Pacific market. For the new company “SHHX Helbako Automotive Electronics Co., Ltd.” in Shanghai, Helbako acquired the renowned automobile supplier NBHX as a new shareholder. At the same time the head office in Heiligenhaus was extended, the development team expanded and a new production line was put into operation. Meanwhile, Helbako's staff had increased to 240 and annual revenues reached approximately 53 million euros (2011), with the curve rising. The company is certified in accordance with ISO / TS 16949:2009 and despite all the alterations has retained its family character. The sons of the founders, who now run the company, support continuous change, dynamic development and the search for new horizons. For us, these are all part of our tradition. Team spirit is no accident. Every member of our staff must assume a high level of individual responsibility and team structures must be clearly defined. Both of these are critical to ensuring constructive collaboration between team members. Good cooperation between the various disciplines is a strength found in medium-sized companies and one we are eager to foster. This begins with employees just starting their careers, who do much more than simply our complete expert qualification programmes. And it continues through our management guidelines, helping to mould our 240 staff members into one powerful team.